Guitar picking is certainly an oft written about topic, usually with the goal of demonstrating how to play fast. I recently realized that I—closing in my 3rd decade playing guitar—still didn’t have a very good handle on all aspects of picking. So I went on something of an online video and tutorial binge, while also closely examining my own plectrum use, to get a better understanding of the subject. I’ve collected here what I feel are the most important ideas. I should be clear what this article is not: it is not a guide to the “best” way to pick. If I’ve noticed one thing in my survey of players, it’s that there are lots of different ways to pick and what works for one person may not work for the next. I suspect variation in the structure of individual hands (and probably brains) leads to a diversity of techniques. But I do think being aware of the different styles of picking can only help one get better. Let’s look at some picking techniques. The red circle captures what is essentially a single movement. I’ve noticed for years that economy picking does affect my timing. If I’m playing four notes in a row with alternate picking, the notes come out pretty even rhythmically. 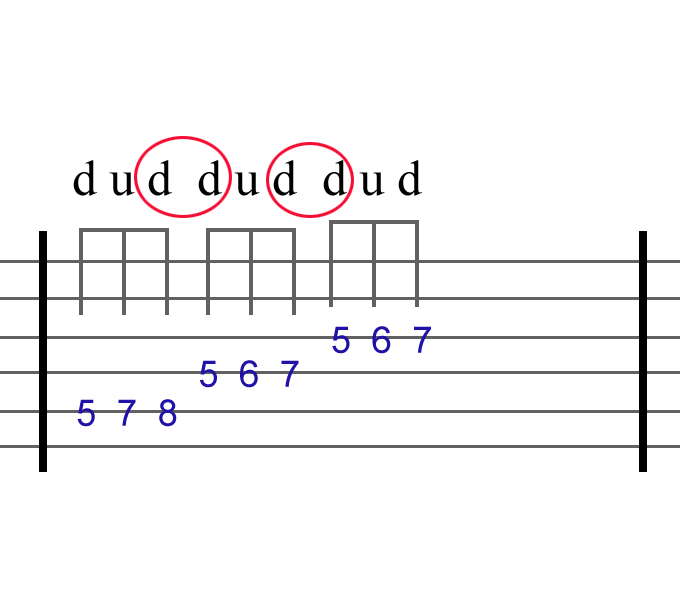 But if I do four notes in a row and the last note is on higher string and thus the last two notes are economically picked with the same downstroke, I tend to land on that final note a bit early. 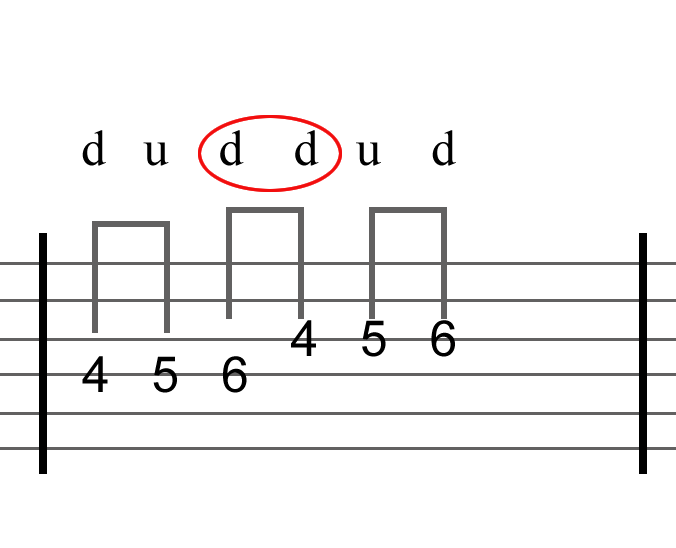 I’ve always liked this quirk of my playing and I feel it humanizes my playing a bit. (Perfectly rhythmic placement of notes sounds a bit robotic to me, like when you use the quantize function in midi software.) But you may not feel the same way in which case you’ll want to work on getting the efficiencies of economy picking while maintaining precise timing. There’s a guy named Troy Grady who has done an extensive series of videos (not all free) looking at the topic of picking. (I definitely recommend taking a look at the free ones, at least.) He makes some interesting points about economy picking. To look at one example, let’s consider a situation where you are going up a scale. 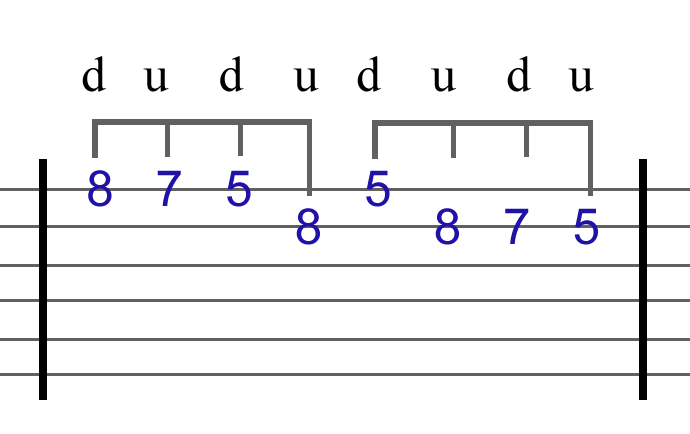 If you are doing three notes per string and starting on a downstroke, economy picking works great. 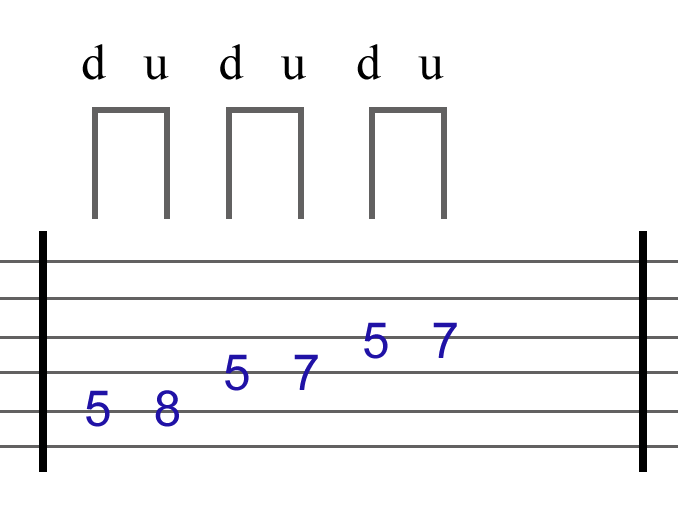 You’ll end each of the three note groups on a downstroke that will take you right onto the next string. 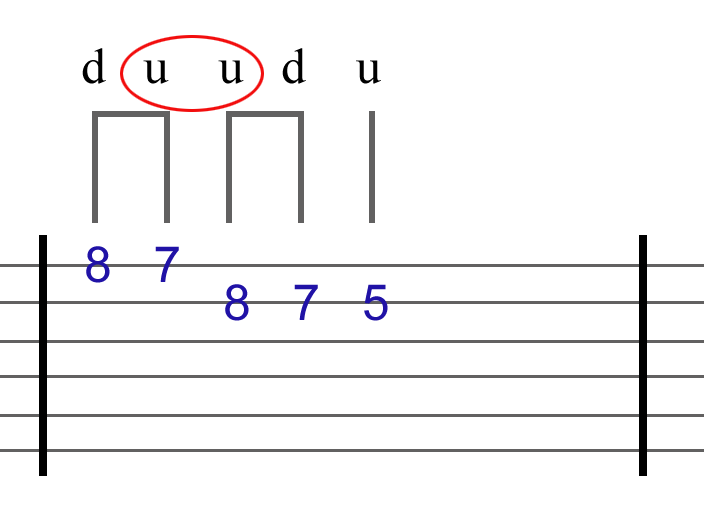 But what if you’re doing a 2 or 4 or 6 notes per string pattern? Now the advantage of economy picking is lost because you are ending on an upstroke, moving away from your next string. Check it out. Grady argues that fast players, Yngwie Malmsteen in particular, consciously design their licks to get around this. Basically they use hammer ons or pull offs at particular points to maintain the optimum pick stroke. 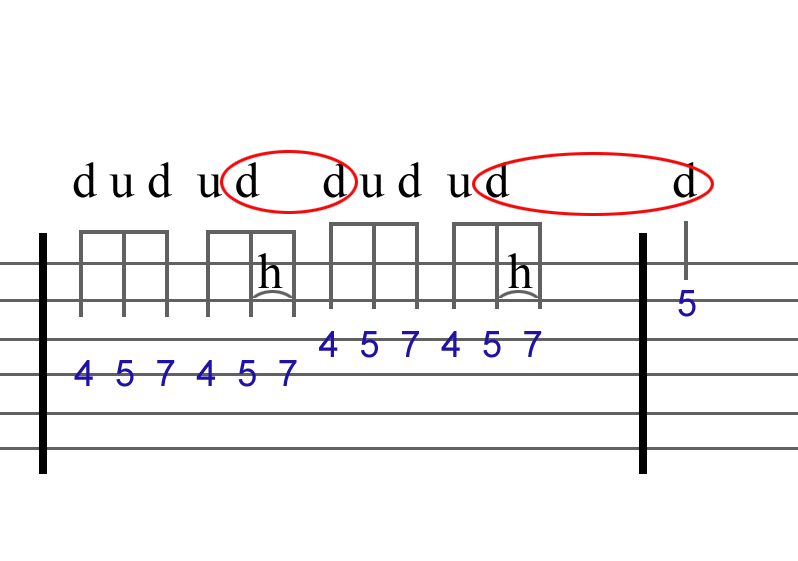 For example, the previous lick could be amended as follows. If you think this feels a bit like a cheat and is putting technique before the music, well, yeah, the thought occurred to me as well. At the same time, showing off has been an integral part of music performance for centuries and anyone who says otherwise is a fool or a liar. That’s it for this post. In part two we’ll discuss different ways of angling your pick.